The Modern Greys collection features a heat-set polypropylene construction, with shiny polyester accent yarns. These 15 rugs utilize splashes of bright colors and the shiny yarn adds great sophistication. 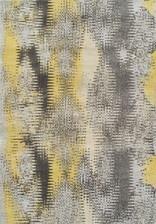 The Area Rugs Modern Greys Graphite Rug 8X11 by Dalyn from Boulevard Home Furnishings. We proudly serve the St. George, Cedar City, Hurricane, Utah, Mesquite, Nevada area. Product availability may vary. Contact us for the most current availability on this product.